Making a baby may seem straightforward, but if you’ve ever tried and struggled to conceive—or witnessed one of your girlfriends endure the experience—then you know getting pregnant isn’t always so simple. In the United States, 12 percent of percent of women between the ages of 15 and 44 have impaired fertility, according to the Centers for Disease Control and Prevention. That’s over 7 million women who want to get pregnant and can’t. Assisted reproductive technology can help women conceive, but many infertility interventions are prohibitively expensive. A single round of IVF costs around $12,000 (more if you want or need to pre-screen for genetic disorders) and only between 30 and 40 percent of IGF cycles are successful. Why is infertility such a big problem? A number of factors in the modern world work against us in our journey to motherhood. In fact, you can think of the major obstacles as a trifecta of fertility-reducing factors: Abundant environmental chemicals, long-term exposure to hormonally-disruptive medications, and unprecedented food pesticides. The hopeful news? Women can work to counteract the damaging effects of these modern obstacles when they learn simple but powerful ways to optimize their biology. Women who want to be mothers can take steps now to preserve and enhance their fertility—and reduce the need for expensive and invasive treatments. Dangerous chemicals are everywhere, every day. From your sunscreen to your furniture polish, products in your everyday life are putting your fertility at risk. Research has shown that many of the chemicals found in everyday household products are bioaccumulative and very toxic, which means that once they’re in your system, they stay there, allowing for increased free radical damage, which makes you more vulnerable to autoimmune diseases and cancers, not to mention compromised fertility. Years of medication use can and do affect fertility. Birth control, antibiotics, and other common drugs like aspirin and ibuprofen (NSAIDs) are guilty of destroying microbiome balance, an essential factor in fertility. Recent research suggests that long-term use of the pill is associated with an increased risk for Crohn’s, a disease related to microbiome imbalance. Pesticide use in food is pervasive. This isn’t a trivial matter; research has long pointed to a connection between pesticide exposure and infertility, and a study published just a few months ago in the journal JAMA Internal Medicine reports that, among women undergoing infertility treatment, eating more fruits and vegetables with high amounts of pesticide residue was associated with a reduced chance of pregnancy and an increased risk of pregnancy loss. Get real with your period. Assess where you’re at and decide once and for all if you really want to keep masking the menstrual symptoms that are indicative of a hormonal imbalance or if you’re ready to start making some real changes. Once you’ve quit the pill, pay attention to your cycles and use the MyFLO app to track your symptoms. If your periods return quickly post-pill and they become regular, great! If not, then it’s likely that there is an underlying health condition that the pill was covering up. I recommend addressing symptoms naturally with food changes. Not sure where to start? Take the V-Sign Quiz to pinpoint your period problems now. Go green. Clean up your act and replace your chemical-laden cleaning supplies and beauty products with hormone-friendly replacements. Need some inspiration? Check out how I clean my home and learn which ingredients to avoid in your beauty products. Buy organic. I get it, going organic isn’t exactly cheap. But the Environmental Working Group has made organic shopping a lot easier and more accessible with their Dirty Dozen and Clean 15 lists. Avoid eating non-organic foods on the Dirty Dozen list as often as possible, but you can save money by being less strict with the Clean 15. Quit the pill immediately. 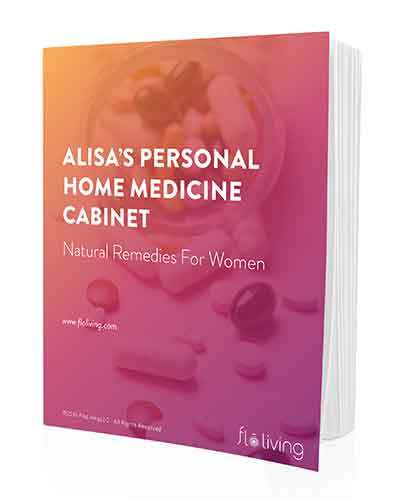 Eliminating the pill and other damaging medications from your life will help you begin to replenish your out-of-whack gut flora. Eating nourishing, clean food is a must for a healthy gut, as is getting plenty of fiber, but don’t forget to add in a probiotic. The formulation found in the Balance Supplements helps balance gut bacteria and supports healthy digestion, an essential component of healthy fertility. Learn more about quitting the pill seamlessly here. Remember, The longer you’ve been taking birth control, the more tender loving care you’ll need to show your delicate system. That’s because you’ll be more likely to suffer from synthetic birth control syndrome (SBCS), a collection of symptoms that crops up because the pill has been acting like a Band-Aid, suppressing the original symptoms that probably convinced your doctor to put you on the pill in the first place. And now that it’s depleted your your system of crucial vitamins and nutrients, quitting the pill is likely to make those symptoms come back with a vengeance if you’re not prepared. Counteract that damage by learning to cope with SBCS. Boost your micronutrients now. Stress, caffeine, working out, dieting, and all of the above chemical exposure depletes your body of the very micronutrients needed to make enough hormones and to maintain optimal fertility. 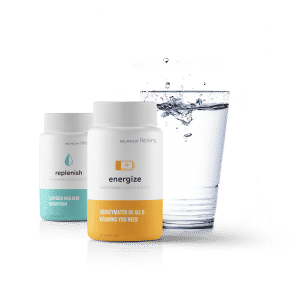 With idiopathic (no known cause) infertility on the rise, it’s critical to feed your endocrine system today with the micronutrients it needs to do its job. These 5 formulations provide the non-negotiable support needed. Avocado. You want to be eating an avocado a day when you’re trying to conceive. Researchers from the Harvard School of Public Health discovered that avocados contain the best kind of monounsaturated fat and the least saturated fat, making them the ideal food for boosting the health of your eggs. I love avocados for breakfast and as a snack – try some of my recipes. Royal jelly. A 2007 Japanese study discovered that royal jelly is similar to a phytoestrogen and contains properties that might support healthy uterine muscles and lining. There have been multiple studies with royal jelly on fertility in animals that suggest it has the potential to increase rates of pregnancy and support fertility overall. I love making a royal jelly smoothie that’s rich in folic acid and zinc. Turmeric. Certain spices, like turmeric, improve circulation to all organs – including the uterus and ovaries. The better the blood is flowing, the more oxygen is present, the better their health – boosting fertility. Because turmeric increases blood flow to the uterus it can also help with regulation of periods and support the development of healthy periods. Cinnamon. Another spice that’s excellent is cinnamon, which slows down the speed at which your stomach empties after you’ve eaten a meal, helping to stabilize your blood sugar and support regular ovulation. It .You can get more of this spice into your day by sprinkling it on your smoothie or non-caffeinated latte at breakfast or adding fresh cinnamon sticks to hot water for a refreshing drink. Leafy greens. Magnesium is such a vital nutrient for optimizing fertility and dark, leafy greens like spinach and chard have the highest level of magnesium of any foods, which is why I like to have a side of them with almost every meal (sautéed, with a little coconut oil is my favorite). Just one cup gives you half your daily requirement. Egg yolks. Eggs are the perfect protein for women, and, despite the myths we’ve all heard, they do not cause high cholesterol – sugar does that. Eat your eggs poached or soft boiled to preserve the vitamin D and B6 content, which helps progesterone production. Hi! Thank you so much for all this information. I have been following you for about 10 months. I was on birth control until 4 years ago and in the last year my period has become irregular. I have light pink spotting before my period for 4 days, brown spotting after for 3/4 days. My period only lasts 2 days and is very thick blood (doesn’t come out unless I pee- sorry if tmi). And it’s very painful for the first day. I’m 36 and have been trying to conceive for over a year with no success. I would love some pointers!